How Is The Tesla Model X Failing To Sell During The Largest SUV Craze? At least the Model 3 won't suffer from the same shortfalls. Unfortunately for Elon Musk, Tesla’s Model X SUV was mired in trouble since before it even hit the production line. First it was complicated doors and absurd delays. Now it’s worse than that. According to an analysis by Bloomberg, Model X registrations in the US have slipped just a year into the SUV’s production lifecycle and there’s a good reason why this should ring alarm bells over at Tesla. That's because sales of SUVs in America are through the roof and everything from Escalades to compact crossovers are reaping the benefits. And like most cars that go overboard on next-generation technology that hasn’t been fully fleshed-out, that complexity causes problems to arise. 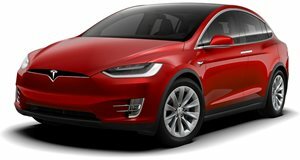 While the Model S ranks as Consumer Reports’ 2nd best ultra-luxury car, the Model X comes in second to last among 15 mid-size SUV peers. “SUVs are popular because of utility, and this is an SUV that doesn’t have a lot of utility,” Jake Fisher, director of automotive testing at Consumer Reports. “The X was a big science experiment to say, ‘How far can we go?’ And they went too far.” All of these are valid reasons. Our take? Add more utility, remove some complexity, and wait for the Model 3 to bolster the bottom line in order to fund another attempt at the electric SUV.